I am pleased to inform you that your concept for crude oil supply to planned refinery #4 in Mangystau Oblast of Kazakhstan, as presented in issue #4 of the Oil & Gas Journal, has been accepted by the National Academy of Engineering for inclusion in our overall recommendation to the President of the Republic of Kazakhstan. 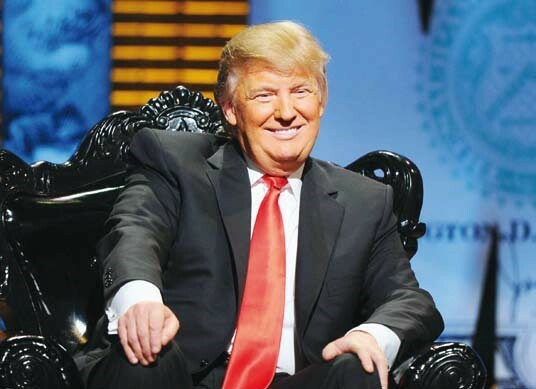 A letter outlining your plan will be mailed to Mr. Nazarbaev in the nearest future. 4. Galex technologies offer a mechanism for controlling and harmonizing a wide range of crude oil properties to meet our specifications. Your proposal recognizes that the properties of crude oil from different fields in the region vary widely and that blending from outside sources will be needed to satisfy the refinery’s feedstock requirements. 6. Your modular schematic of the first phase of refinery operations would facilitate the efficient separation of vapor-phase hydrocarbon streams recovered at the wellhead into the required fractions without the need for reheating at the refinery. Once the RK government issues the necessary approvals, your company, together with the National Academy of Engineering, will need to customize these technologies for implementation in the fields of the Mangystau Oblast and conduct field testing to acquire accurate technical and economic input data for the refinery-construction feasibility study. Galex has reached an understanding with a Russian major oil company, TatNeft, on intent to license Galex’s patented disruptive EOR (enhanced oil recovery) technologies SWEPT and S-BTF for use in the TatNeft’s giant heavy and ultra viscose oil fields in Tatarstan. Concurrently, Tatneft will commit to a 16mil USD investment. The technology testing trials are to be held on Tatneft fields in Tatarstan, Russia using mutually agreed parameters. The $16MM US equity investments into Galex’s affiliate GEP will be used on appraisal of the GEP currently held leases, acquisition of additional US and other North America based oil reserves that are non-economic and/or unrecoverable without use of the Galex’s technologies. The royalty of the technology use in the TatNeft’s core areas of Tatarstan will also be directed to fund GEP in support of implementation of the company’s rapid value growth strategy. Galex’s technologies SWEPT and S-BTF provide for highly efficient and cost effective recovery of otherwise inefficient and difficult to recover oil such as heavy and ultra-viscos and bituminous oil deposits of shallow and ultra shallow depth. Technologies are applied by means of conventional wells. Claiming better than fracking or SAGD recovery rates the technologies do not require use of extensive power, water, sand, chemicals and therefore highly economic. They utilize small footprint area that is to be reclaimed for agricultural use or return to the nature, therefore environmentally sensitive. We are very satisfied with this accomplishment as it concludes a half-a-year long negotiating effort and evaluation. Following completion of the binding agreements and other necessary formalities, Galex will be deploying it’s proprietary technologies into Tatarstan to prove the technical and economic benefits to the specifics of the TatNeft’s fields. Note: PJSC Tatneft is a Russian publicly traded vertically integrated oil and gas company with headquarters in Almetievsk, Tatarstan. The company is trading on MMVB-RTS under symbol TATN and LSE under symbol ATAD. Market cap $23BN US. The SWEPT and S-BTF process, which was originally invented for shallow heavy oil and bitumen extraction, has now been adapted for dissipated oil and gas. That includes shale oil and gas and any other hydrocarbon-saturated tight rocks. The process provides for high initial production rates, a high recovery factor, and low depletion rates –all at low cost. It is widely known in the oil and gas industry that shale oil and gas deposits are more prolific when the depth of the deposit is significant. The initial production from the shallower shale oil and gas deposits is predominantly low and the overall oil and gas recovery is also low. When fracking technology is used to recover oil and gas from a shale formation, the decline rate of production is hyperbolic and the recovery factor is in the range of less than 9%. The overall cost of production is high. The technical and economic parameters of production vary in relation to the depth of the hydrocarbon deposit – i.e. the deeper the better. The cause for this phenomenon is the pressure of the overburden, which is the major contributor to formation pressure. The shallower the oil and gas bearing zone, the lesser the formation pressure, the smaller the depression that can be applied to the hydrocarbon bearing zone, the weaker the flow rate of oil and gas into the well. – abnormally high pressure created within the pore space, which transmits into formation overpressure. This broadened range of SWEPT and S-BTF applications holds promise for high efficiency and low cost exploitation of such shallow oil and gas shale reserves as southern Wolfcamp of the Midland basin, northern Eagle Fort basin, most others within the US, many of the Argentinian and Colombian oil shale reserves, the newly discovered giant Bahrain oil field and many others. This technology will also breathe new production life into the massive well inventory in depleted sections of the USA shale basins already exploited with fracking technology. Earlier in 2017 after SWEPT and S-BTF activation of the newly drilled wells in the Wardlaw field it was detected that the cap rock has not been able to accumulate and hold increase of formation pressure due to it’s poor sealing ability. After several months of academic work and lab testing the technology for enforcement of sealing ability of cap rock was invented and become ready for a field test. Well #101 Wardlaw was selected to test the S-CRSE technology. The selection was made on the basis of repeated heating up to 180 degrees F detected at the well head. The heated well head was direct indication of existence of the S-BTF triggered formation activation near the well bore, which as the result of the technology application trial of S-BTF that took place in August of 2017. The annular pressure on the well prior to the S-CRSE application was about 4 psi. On November 9 the S-CRSE operation was performed and the annular pressure built up to 180 psi within four hours from completion of the S-CRSE operation. In next 24 hours pressure gradually decreased to 160 psi and held at that level. It is understood that the formation breaking pressure point was reached and excess pressure was discharged into the formation and balanced at 160 psi wellhead pressure. Such pressure was held for a week. Then discharged. It was concluded that S-CRSE test was successful and the technology is ready to be proven on an areal application. Galex will be patenting the technology in the near future. But Mr Barak and his colleagues persevered, drilling hundreds of wells. The field was later sold in 2005 for around $2bn (£1.5bn), he says. Now, Mr Barak has turned his attention to the Wardlaw oil field in Edwards County, Texas. It lies in the southern corner of the Permian basin, a huge sedimentary basin in Texas and New Mexico that is associated with a high number of oil deposits. But while there are an estimated 168 million barrels at Wardlaw, only around 120,000 have ever been extracted. That’s what Mr Barak and his colleague Anatoly Bazhal, principal science coordinator, hope to change. At Galex Energy Corporation, they have developed various technologies designed to dislodge hydrocarbons from the rock and move them to the surface. One example of their innovations uses acoustic waves that are “swept”, a process invented by Galex in which the waves are transmitted into oil-bearing rock surrounding the oil well. Oil is trapped within that rock in tiny pores – the “reservoir” is more like a hard, wet sponge than an underground lake. To force oil out of the pores, the acoustic waves produce micro fractures in the rock that increase permeability. The area is also exposed to cycles of low and high pressure. During low pressure cycles, the trapped oil droplets are impacted dramatically. “The liquid bursts into vapour within the pore,” explains Mr Barak. The pressure differential then encourages the hydrocarbons to flow towards the well where they can be drawn out of the ground. Galex hopes to drill around 25 test wells this summer to measure the effectiveness of swept and other technologies it has developed. But the process is not without risks. In a 2013 article Mr Barak and Mr Bazhal wrote, “the unauthorized and incompetent use of [the] technology swept can cause damage to the subsoil environment, property and threat to the life of staff”. Nevertheless, oil and gas companies are continuing to pursue new methods and techniques like this in order to get ever more fossil fuels out of the ground. It’s important to note that, traditionally, it has been commonplace for firms to recover only about a third of the oil from an oil field using existing techniques. But that is changing. There are various reasons why new extraction methods are cropping up, but a key factor was the high price of oil in recent years – between roughly 2011 and 2014 the average price of a barrel was $100 or more. “That period of time [when prices were high] allowed investments to be made in places such as very deep water in Brazil, Canadian sands and other parts of the world,” explains Neil Atkinson, head of the International Energy Agency’s oil industry and markets division. In other words, the oil companies invested heavily in research and development at trickier sites, and in some cases are now benefiting from increased extraction. An area long associated with oil production that some thought would have largely “dried up” by now is the North Sea, says Prof John Underhill at Heriot-Watt University in Edinburgh, Scotland. “More oil is being produced from those depleted fields than ever was thought possible when the North Sea was opened up,” he says. One new approach he cites is directional drilling, in which non-vertical wells are bored into the oil field. “One can target those pockets of oil that would otherwise be left behind,” he explains. There have been innovations in injection too – the process of putting fluid into an oil reservoir to increase the pressure, helping it to flow through to the well. At BP’s major new site at Clair Ridge, off the coast of Shetland, chemistry will be harnessed to dislodge oil from the reservoir during injection. The technique involved is called “LoSal”. The oil in the Clair field clings to clay thanks to ions – atoms or molecules with an electric charge. They act a bit like a chain holding the hydrocarbons in place. However, by lowering the salt content of the water in the reservoir, BP thinks this will make the chemical bonds of that chain relax. If that happens, the ions may be replaced by less binding ones, releasing the hydrocarbons in the process. BP plans to begin production at Clair Ridge in 2018, and continue recovering oil from the field for the following 32 years. The list of options for engineers vying to lure yet more oil from underground reservoirs is certainly growing. Some firms, like Titan Oil Recovery in the US, are even enlisting the help of microbes, tiny organisms living within the oil field. A sample of water in the field is sent to the lab for analysis, explains chairman and founder Ken Gerbino. The goal is to find a microbe living there that can be fed and encouraged to proliferate. Once one is identified, Titan can deliver its – secret – formula. Accord GR Energy, Inc. has reportedly sold it’s first load of oil last Saturday, June 10. Next load is planned to be sold today, June 13. This is a great accomplishment by the Accord team that signifies new page of development of Accord. The oil was produced from the Accord’s Wardlaw field, it’s Permian basin asset in Edwards County, Texas. There are 90 Accord’s wells in the field, including the three new wells recently drilled under Phase-2 “Proof of Technology Concept” plan. The oil production came as the result of the S-BTF process trial application, a proprietary technology owned by Galex and invented specifically for Accord’s Wardlaw and the Wardlaw like shallow and extra shallow deposits of heavy oil and natural bitumen. The process is comprised of technologies like SWEPT, S-BRPT, licensed to Accord, as well as other technologies. The process requires further adjustments and optimization in order to achieving the best oil recovery results at the most competitive cost. Accord, in cooperation with Galex, will continue on this process while gradually increasing field production from the Wardlaw. Patent for S-BTF process has been filed with USPTA on June 9 by Galex Energy. The 3-well drilling program was completed successfully. Initial testing was undertaken to record baseline production rates. As anticipated the rates came out extremely low from 0 to 1 bpd per well. A specially designed for the field S-BTF process was applied and demonstrated better than expected improvement in oil extraction rates. The technology test also demonstrated necessity to improve oil lifting technics, upgrade wells tie-in and oil collection facilities. At this time company is preparing to start on routine oil production, processing and sales with gradual increase of produced volume and optimization of the field infrastructure. Accord GR Energy, Inc. is a privately owned company with limited number of shareholders. Petroteq Energy Inc., a Canadian publicly traded company, is one of the shareholders with large holding position in Accord. None of the individual shareholders has more than 50% stake in Accord. Galex Energy granted Accord non-exclusive non-transferable licenses for technologies that are valid on oil and gas production assets owned by Accord. The link below will open an article published on oilprice.com on June 7, 2017. The link below will open an article published on vestifinance.ru on June 9, 2017 in Russian. Accord GR Energy Inc. has drilled and cased its first well, which was spudded on March 15. The first well reached TD as scheduled. The end-of-well log confirmed the presence of the main target oil zone. On the recommendation of geologists, the well was deepened to a new TD and logged again. A new oil zone was discovered that will increase the well’s reserves by 75%. As a result of the new oil discovery in the first well, the Phase-2 program has been expanded to include a third, deeper well. The new plan for Phase-2 calls for drilling and testing three new wells (two oil zones each), along with testing two existing wells (one oil zone each). This will significantly increase potential oil production by a factor of 2.5 over the original plan. This substantial improvement in reserves and potential production will be achieved at the cost of only one additional well. The excellent results obtained so far will greatly improve the commercial viability of ACCORD’s assets once ACCORD’s licensed EOR technologies are proven. It is envisioned that wells will enter into steady production while being tested and optimized to attain the most efficient recovery parameters. As previously announced, 24 infill wells will be drilled on the 40-acre section in addition to the three first wells. ACCORD GR Energy, Inc. is a privately owned Delaware corporation specializing in E&P. The company currently holds a 7.000-acre mineral rights lease in Edwards Co, Texas. 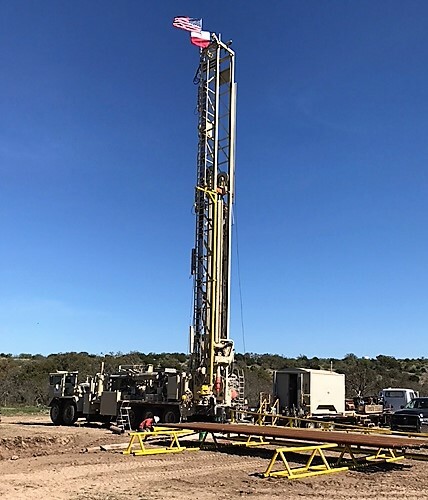 Accord GR Energy Inc. has launched Phase-2 of the Wardlaw field project (Permian Basin) with the drilling of two S-BRPT wells. The recently completed $1.5 million Phase-1 test demonstrated the potential of impulse wave technology to support economically viable production rates from even the most depleted wells. Accord has now initiated Phase-2 in order to demonstrate the commercial oil potential of the Wardlaw property using the company’s proprietary EOR technologies. The first of these wells was spudded on March 15 and is scheduled to reach TD on or about March 20. Drilling of the second well will commence immediately upon completion of the first. The two new wells together with the one previously existing well will form a three-well pattern for simultaneous testing. The plan for the Phase-2 is to observe and optimize oil recovery rates and inaugurate commercial production using Accord’s now-proven oil recovery concept. Upon completion of Phase-2, the company plans to turn the test area into the First Production Pilot by densifying the three-well pattern with an additional 24 infill wells within a 40-acre section, followed by commissioning and operation of the wells to full depletion. The Production Pilot will allow the company to further optimize recovery parameters and fully assess the commercial viability of Wardlaw field. Texas’ Permian Basin has been producing oil for almost 100 years, but a new geological assessment shows that even though billions of barrels have already come out of this sleeping giant, billions more are still waiting to be pumped. A new United States Geological Survey (USGS) assessment of the riches of the Permian Basin, released just last month, showed that in just the Wolfcamp shale in the Midland Basin portion of the Permian alone, there are still 20 billion barrels of undiscovered, technically recoverable oil. That’s an assessment that will necessarily trouble OPEC. A coalition of oil-producing countries (OPEC and non-OPEC) agreed to limit petroleum output and exports beginning January 1 of this year. It is hoped that most petroleum exporters will comply with this agreement, putting an end to years of market uncertainty by first stabilizing prices at their current level and then initiating a gradual upward trend. On the other hand, the prospect of new pressures and intensified competition in the world oil market could increase the risk of a breakdown of all existing agreements and launch a new spiral of volatility and plummeting oil prices. What follows is a brief analysis of risks and prospects in the North American market. ACCORD GR Energy, Inc., a West Texas E&P operator, that builds its strategy around frontier EOR (enhanced oil recovery) technologies, will serve as an example of growth and development in a highly competitive environment. MCW Energy Group Limited December 14, 2016 3:12 PM. TORONTO, ONTARIO–(Marketwired – Dec 14, 2016) – MCW Energy Group Limited (“MCW“) (TSX VENTURE:MCW) (MCWEF), a clean-tech company with proprietary soil remediation and extraction technologies, announced its plan to develop the property and existing wells contained within the 7,000 acre Wardlow, TX field acquired in its recent acquisition of Accord GR Energy, Inc. (“Accord“). The recently completed $1.5 million Phase I test succeeded in demonstrating the potential ability of the impulse wave technology to support economically viable production rates of even the most depleted wells. MCW Energy Group Limited (“MCW“) (TSX VENTURE:MCW)(OTCQX:MCWEF), a Canadian holding company involved in the development of environmentally-friendly oil sands technologies and the production of oil from Utah’s vast oil sands deposits, today announced the execution of a definitive agreement (the “Agreement“) to acquire a controlling interest in Houston-based, exploration and production (E&P) company, Accord GR Energy, Inc. (“Accord“). Accord’s assets include a limited license for two enhanced oil recovery (EOR) technologies for use on Accord’s southwest Texas properties and intended for use on MCW’s 2,200 acre oil sands property in Temple Mountain, Utah. It also includes equitable title pursuant to a purchase agreement to 7,000 acres in southwest Texas, with 88 drilled and completed (DUC) wells. The oil is categorized as “medium crude” and the deposits are in the light gravity range of heavy oil at 18-22 API gravity. Accord’s SWEPT technology is designed to recover fossil hydrocarbons by improving rock and fluid properties through the use of impulse-wave based technology. Accord’s S-BRPT technology, designed to recover solid and liquid hydrocarbons through aggregate conversion into gaseous forms followed with well based recovery of same from greater depths, is expected to expand economic recoverability of MCW’s bitumen initially in place at depths up to 300 feet and deeper, levels currently not economical with existing processing capabilities. Pursuant to the Agreement, MCW will acquire 57.3% of all issued and outstanding shares of Accord, in consideration for 59,698,300 shares of MCW and warrants to purchase 2,000,000 shares of MCW at US$0.25 per share for three years. The common shares issued will be subject to a four month hold period from the date of issuance. The Agreement is conditional only on the approval of the TSX Venture Exchange and is expected to close within 30 days. MCW Energy Group Limited is focused on value creation via the development and implementation of (i) proprietary, environmentally‐friendly oil sands extraction technologies and remedial tailings ponds project solutions, (ii) expanding production capacities of its now operational oil sands project in Asphalt Ridge, Utah, and (iii) the formulation of worldwide joint ventures and the licensing of oil sand opportunities with private and governmental resource entities within countries possessing extensive oil sands/shale deposits. MCW’s management team is comprised of individuals who have extensive knowledge in both conventional and unconventional oil and gas projects and production, both in upstream and downstream industry sectors. The information in this news release includes certain information and statements about management’s view of future events, expectations, plans and prospects that constitute forward looking statements. These statements are based upon assumptions that are subject to significant risks and uncertainties. Because of these risks and uncertainties and as a result of a variety of factors, the actual results, expectations, achievements or performance may differ materially from those anticipated and indicated by these forward looking statements. Forward-looking statements in this news release, include, but are not limited to, TSX Venture Exchange approval of the acquisition, commercial viability of MCW’s and Accord’s technology and the extraction plant, economic performance and future plans and objectives of MCW, and the commercial production of oil from MCW’s oil sands extraction plant in Asphalt Ridge, Utah. Any number of important factors could cause actual results to differ materially from these forward-looking statements as well as future results. Although MCW believes that the expectations reflected in forward looking statements are reasonable, they can give no assurances that the expectations of any forward looking statements will prove to be correct. Except as required by law, MCW disclaims any intention and assumes no obligation to update or revise any forward looking statements to reflect actual results, whether as a result of new information, future events, changes in assumptions, changes in factors affecting such forward looking statements or otherwise. In April 2016, the US Patent and Trademark Office (USPTO) confirmed filing receipt for five additional patent applications for thermobaric hydrocarbon recovery methods and relevant technology. The new proprietary technologies will further improve Galex’s arsenal of instruments used to recover otherwise non-recoverable oil and gas, improve production rates, and reduce cost of produced oil and gas. Galex Energy Corporation is an innovative technology company focused on building a more efficient and more environmentally friendly oilfield.